Prime Minister Nawaz Sharif has directed the Ministry of Privatisation and Civil Aviation Division to initiate the process of privatisation of 26% shares of the Pakistan International Airlines (PIA). 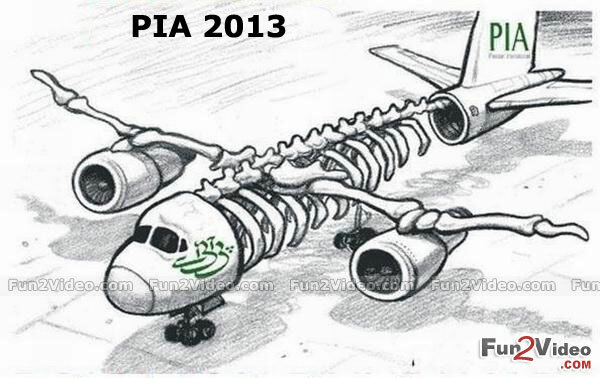 The prime minister directed the management of the PIA to cut down on their losses in the short term in order to make the airline a viable entity for privatisation. Nawaz gave these directions while chairing a meeting on PIA at the Prime Minister’s Office. He also directed that the transaction be completed with transparency, adherence to all relevant codal formalities and guidelines of the superior courts, so that not only people benefit from a qualitatively better service but the overall image of the national flag carrier also gets a boost both nationally and internationally. The prime minister gave a go ahead for privatisation of 26% shares of the airline through an open and transparent manner to make PIA competitive and service-oriented. The prime minister said that the government is fully committed to reform and restructure all ailing state enterprises, including PIA, and directed the management of the airline to focus on their operational efficiency, cut down their wasteful expenses and promote their qualified professionals for meeting the modern-day competitive environment in the air transport industry. Earlier, the prime minister, while reviewing the performance of the PIA, expressed his deep concern over mismanagement in its affairs and was saddened to observe that the airline has not come up to the expectations of the people. Nawaz was also briefed about the problems and issues confronting the PIA, which included its declining service standards, lack of reliability and punctuality, pilferage and theft, lack of quality manpower, training and job rotation, ageing fleet, overstaffing and high loans resulting in high financial cost. The prime minister also said that all policy decisions to revitalise the public sector organisation would be made by its board of governors. However, he called for ensuring full transparency in the decision-making process so that public interest remains safeguarded. The meeting was attended by Finance Minister Ishaq Dar, Information Minister Parvez Rashid, Petroleum Minister Shahid Khaqan Abbasi and other senior officials.